The US Nuclear Regulatory Commission (NRC) has approved modifications to the emergency preparedness plan for Oyster Creek to reflect its decommissioning status. The plant shut down in September after 49 years of operation. 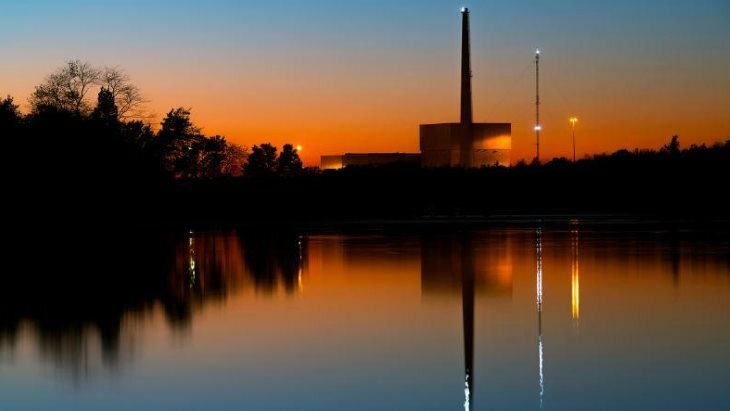 The changes requested by licensee Exelon Generation Company include exemptions from specific NRC requirements that may not be applicable to a plant that has permanently ceased operations. Once these are implemented, state and local governments may rely on comprehensive emergency management planning for off-site emergency response to events at Oyster Creek, rather than a dedicated offsite radiological emergency response plan. This means there will no longer be a ten-mile (16 kilometre) emergency planning zone identified in Oyster Creek's licence, although the plant will maintain an onsite emergency plan and response capabilities. radiological release for the plant is significantly lower than for an operating power reactor, and that the types of possible accidents are significantly fewer at a nuclear power reactor that has permanently ceased operations and where fuel has been removed from the reactor vessel. Exelon may implement the changes to its emergency preparedness plans after 17 September 2019. The single-unit 619 MWe boiling water reactor plant in Lacey Township, New Jersey, entered commercial operation in December 1969, and was the USA's oldest operating commercial reactor when it was taken out of service on 17 September. Since then, all of the reactor's used fuel has been permanently moved from the reactor vessel to the used fuel pool for storage. Although licensed to operate until 2029, Exelon decided in 2010 to retire the Oyster Creek early following revisions to New Jersey's water use rules, which would have required it to build new cooling towers at an estimated cost of more than USD800 million. The plant is to be sold to Holtec International, whose Comprehensive Decommissioning International joint venture with SNC-Lavalin is to carry out its decontamination and decommissioning, in a deal expected to close in the third quarter of 2019.